While I was on Etsy today, one thing I saw were many decorative pillows, and noticed how many different ways to personalize pillows. What a great idea to give your home some extra meaning! 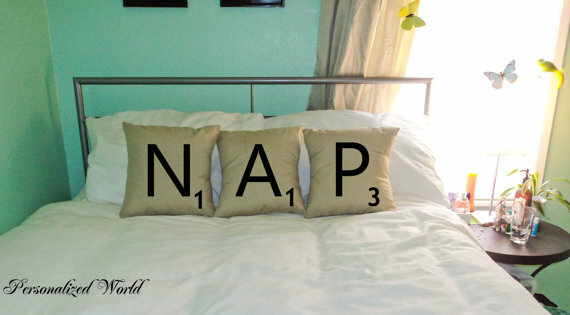 These scrabble inspired pillows hit a soft spot for me. I am a scrabble fan, and this caught my attention right away! 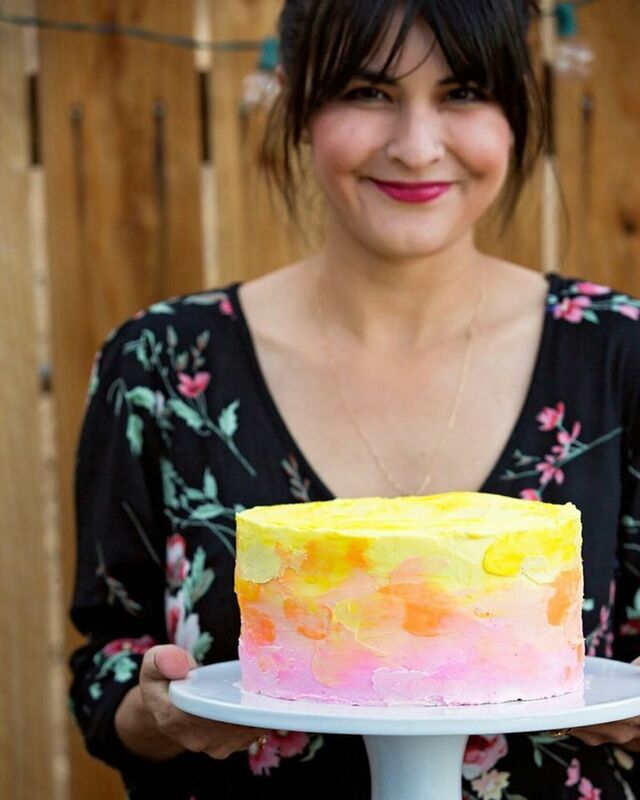 I love that you can make your own words too! 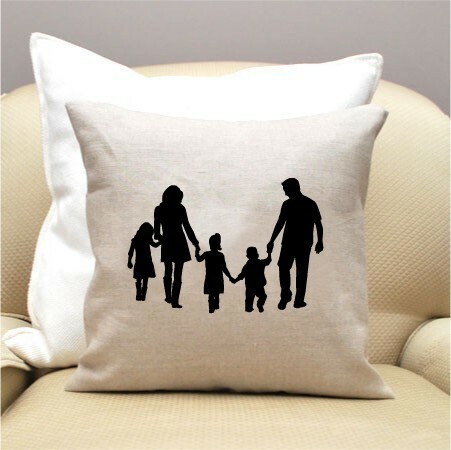 This silhouette pillow is so sweet. I think it would be perfect for a family. 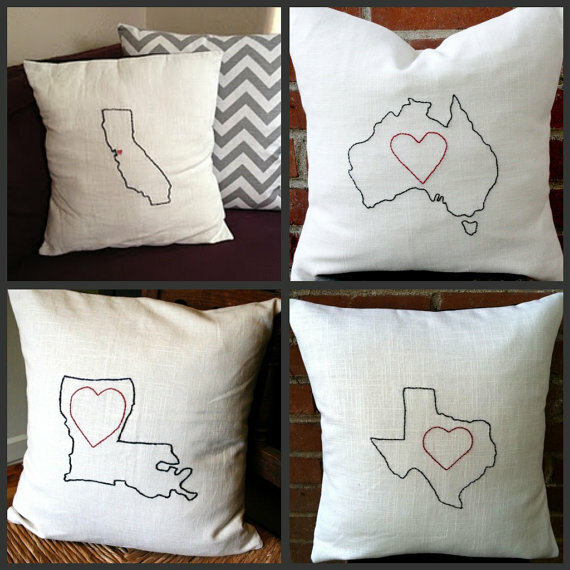 Anything embroidered is fun and adds a homey feel to a house, but to have the state that holds your heart is just great! I love it because I am forever and always a California girl. Initial pillows are personalization to the max. I can see this is pillow in my master bedroom. 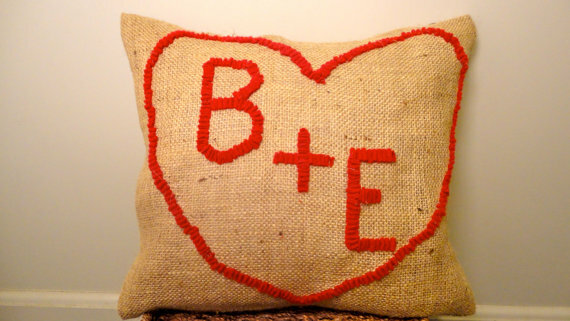 I love the burlap and heart, too! Which one of these was your favorite?